Home topics eco-a-porter It takes a ‘Planet Rehab’ .. like that of Juan Carlos Gordillo! It takes a ‘Planet Rehab’ .. like that of Juan Carlos Gordillo! The goal of eco-à-porter has always been to talk, discover and support eco-designers, if they emerge even better. We are particularly fond of some of them, because, besides being good creatives, they are also beautiful people. One of these is Juan Carlos Gordillo, the Guatemalan designer we talked about at the Vienna Fashion Week, where he showcased with a collection in partnership with the Austrian textile company Lenzing AG. 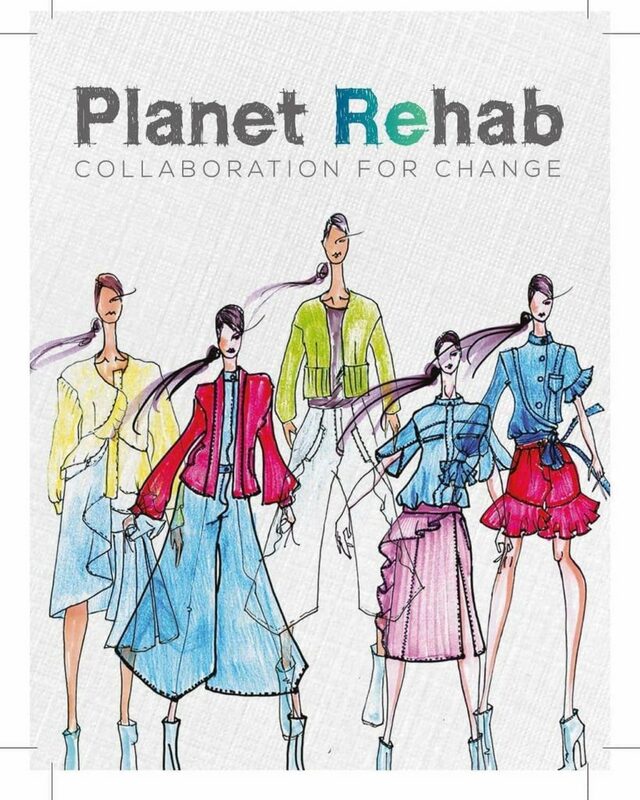 The collaboration between the designer and Lenzing has been renewed with the ‘Planet Rehab Collection’, a capsule that saw as a partner, in addition to the Austrian company, other international textile and apparel companies, all committed to reducing their impact on the environment. 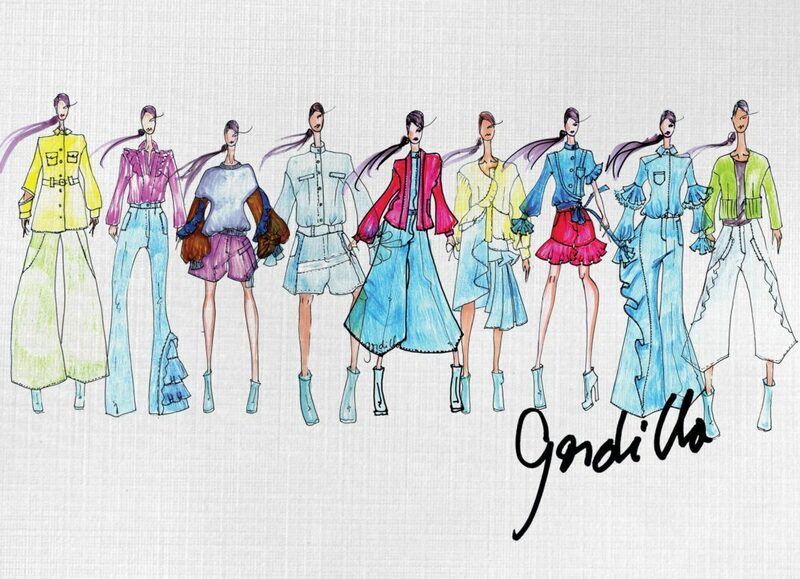 Gordillo designed the Rehab collection around TENCEL™ and TENCEL™ x REFIBRA™ branded lyocell fabrics from Tejidos Royo, the Spanish fabric producer, pioneer in the development of materials woven with 100% TENCEL™ Lyocell branded fibers, always committed in the production of “fabrics with values”, whose realization includes among other things the reduction of energy consumption and CO2 emissions. Officina +39, very Italian from Biella, supplied the Recycrom dyes, made from recycled clothing and textile scraps that are specially processed through a sophisticated production process using only sustainable chemicals. The waste fabrics are crystallized in an incredibly fine powder that can be used as a pigment. 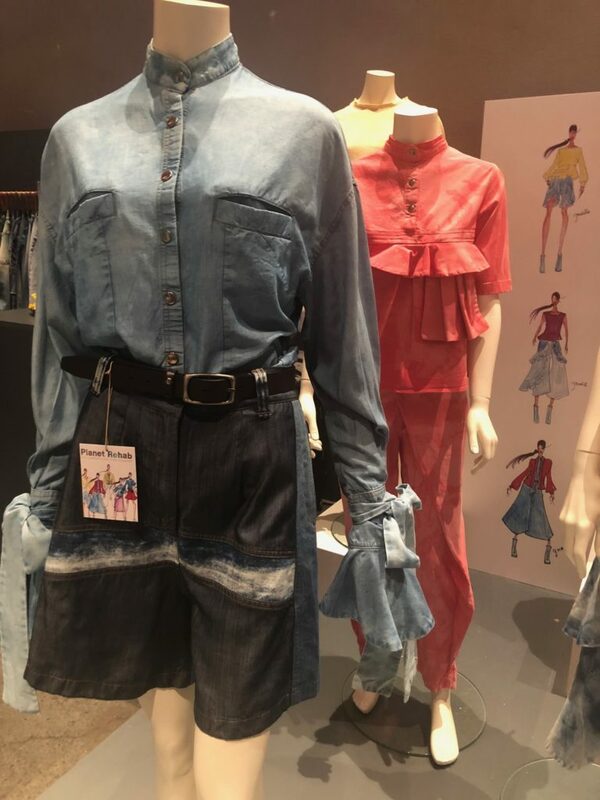 Tonello, Italian too, from Vicenza Province, contributed its revolutionary washing process, that significantly reduces the water and hazardous chemical consumption typically associated with denim finishing. And the result? Fifteen women’s outfits that celebrate life and nature with exceptional color flair and a decided Latin influence. 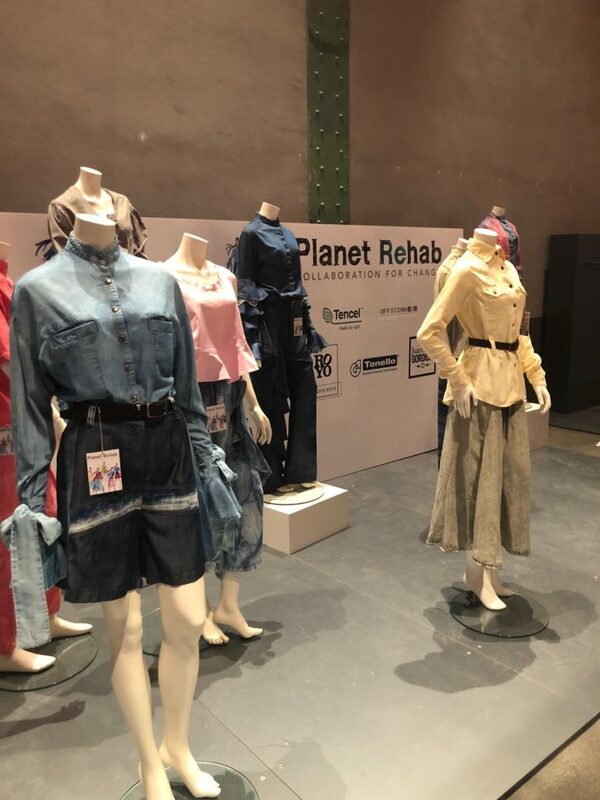 The collection displays the eclectic, artistic style of Juan Carlos Gordillo, who says: “Planet Rehab is my tribute to the ocean with its deep colors and flowing shapes”, a 360 ° tribute, given that materials and processes used in the collection are as sustainable as possible. And says again: ” While many companies talk about being sustainable, these companies had the courage to actually create sustainable products and processes that benefit the industry, society, and the planet. I hope this collection can inspire other designers to prioritize sustainability in their creative processes” . We hope so too, Juan! 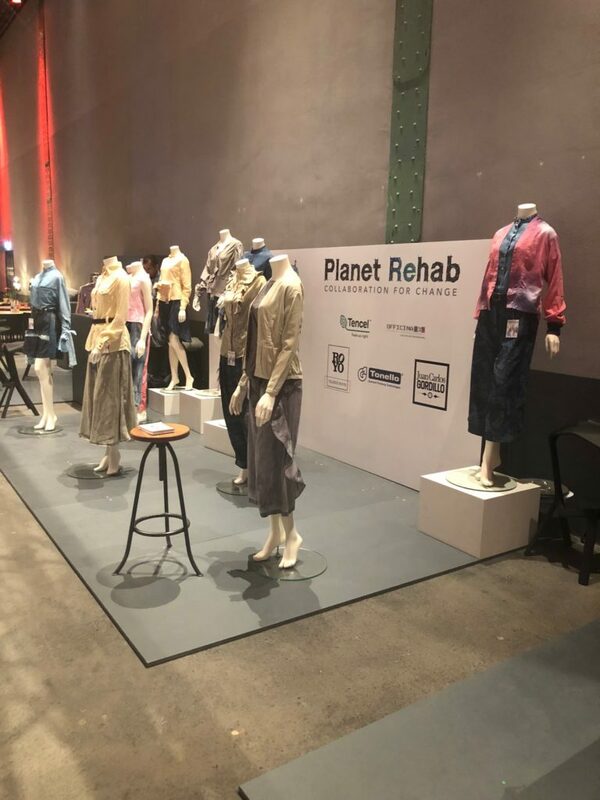 The ‘Planet Rehab Collection’ was showcased until yesterday at the Munich Fabric Start/Keyhouse, a innovation hub and competence center for the textile industry based in Munich.